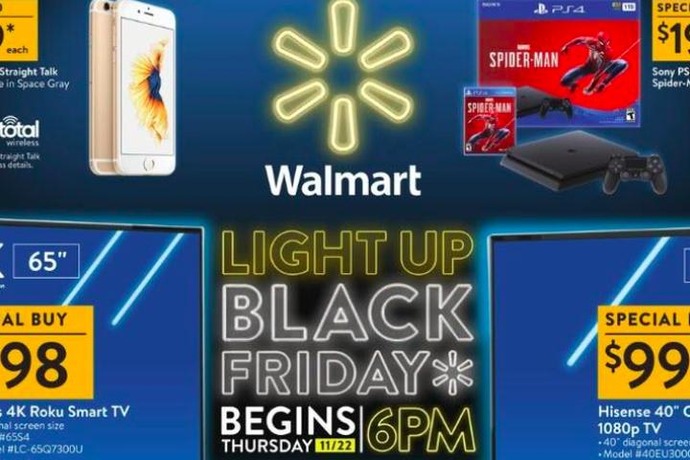 Nov. 1st is unofficially the start of gifting madness, and the biggest players in the online shopping game did not hesitate to throw their massive Black Friday ads our way. Thanks to our sidekicks at BlackFriday.com, we were able to hop on 2018 ad scans from Target, Kohl's, and Macy's right when they were released. Walmart stayed behind to lurk in the shadows and keep us waiting - and then naturally, dropped the ad scan at midnight. Walmart has been referring to themselves (and rightfully so) as America's Best Toy Shop this year, so we assumed that the 2018 Black Friday ad would be full of mostly toys with not much else - we were wrong. This thing is full of deals on tech toys for adults too and we are psyched. Chosen by kids for kids, Walmart's ad is bursting with 2018's hottest toys. There's the classic stuff like Hot Wheels and Disney princesses, and there's the new stuff like hoverboards and Hatchimals - whatever those are. We don't need to understand it, all that matters is that your kids will scream with delight when they open it. This is a unique one - most big retailers wouldn't be caught dead without having the Instant Pot on sale, but Walmart is the only place we've seen reducing the price of the eight-quart Lux instead of the six-quart Duo. The Lux can do everything the Duo can except make yogurt, so unless you or the foodie you're gifting to is really going to be making a lot of yogurt, this is a rare chance to snag a big eight-quart Instant Pot for this cheap. Save $40 and gift it for $59. Yup, these things are still popular - you have to admit, they look fun. Clearly the best hoverboard Walmart has to offer (as it's currently sold out), the Hover-1 Liberty Hoverboard features two driver monitors that can be controlled separately or with both feet for smooth turns and breaking. With an IPX4 water resistance rating, it'll be safe if the kid on your list gets stuck in the rain or rolls through a puddle, and the LED lights on the side ensure street cred. Save $99 and gift it for $99.